Join in the fun on Dec. 16th from 9-12 for breakfast with Santa! There will be a knee-high buffet for kids 12 & under ($3.99 with adult breakfast purchase), cookie decorating, and candy canes! 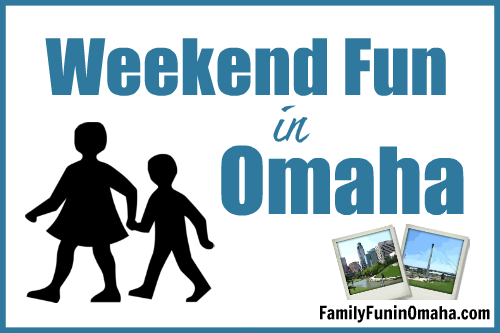 The Omaha Area Youth Orchestra will be performing at 10-12 as well! Located by Pottery Barn Kids in Regency. 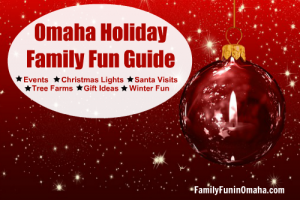 3:30 – 4:30 p.m.: Teen Food & Fun: Gingerbread Houses at W. Dale Clark (Main) Library, 215 S. 15th St.
10 a.m. – 1 p.m.: Gingerbread House Making at South Omaha Library, 2808 Q St.
10:30 – 11 a.m.: Santa Visits Storytime at Charles B. Washington Branch, 2868 Ames Ave.
2 – 4 p.m.: Ugly Holiday Sweaters at Willa Cather Branch, 1905 S. 44th St.
ParentSavvy and Fontenelle Forest are partnering together to provide fun educational, hands-on classes for pre-school age children and parents, offered FREE up to 3 times/year with registration. Register Here. 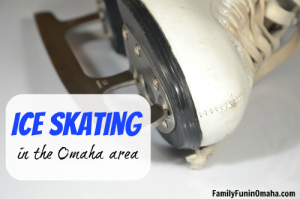 Free 30-minute performances for the community to enjoy by the Moylan Premier Figure Skating Club. Public skating will be temporarily closed during performances. Events are subject to change. Friday, December 15th at 6:30 p.m.
Saturday, December 16th at 1 p.m.
Make a holiday craft, roast marshmallows and make s’mores over the fire. The day’s main event is the Yule Log Quest. Gather your team for this fun scavenger hunt and use a series of clues to find the location of the yule log. (Yule log teams may register by calling Platte River State Park 402-234-2217. Limit of 20 teams). Park entry permit required. All Yule Log activities take place at the Walter Scott Jr. Lodge. New event by the creators of Junkstock. 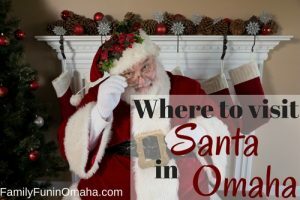 Shop 70 indoor vintage vendors, makers, and artisans, Visit with Santa, see a light display, and more. Friday Sneakpeek is $10 for adults and kids 12 & under are free. Saturday or Sunday One Day Pass is $5 for adults and kids 12 & under are free. Location: Sycamore Farms, 1150 River Road Waterloo, NE. 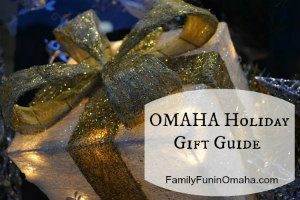 One of our favorite Christmas traditions is seeing the intricately designed Gingerbread Houses. They also have a fun Scavenger Hunt at each location with a picture option for the younger children. The center closes at 3 p.m. on Thanksgiving Eve, Christmas Eve, and New Year’s Eve. The center will be closed on Thanksgiving Day and Christmas Day. 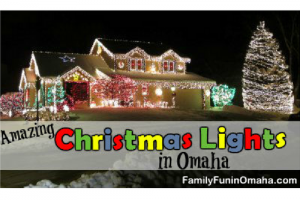 Location: 3215 State St., Omaha, NE & 222 E. Broadway, Council Bluffs, Iowa. 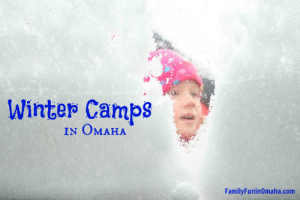 Games, activities, crafts, and more. 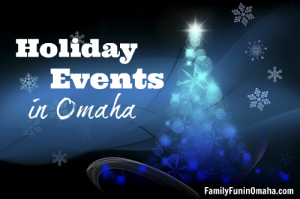 Find many more Holiday Events here!